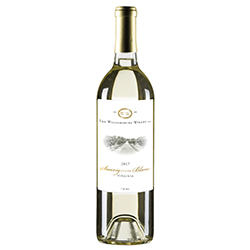 A beautifully well-balanced wine with notes of honeydew melon, mango, grapefruit, pineapple, orange rind and dried apricot. The fresh fruits are integrated with a bright lemon note. Additionally, there is a creamy vanilla character that embraces the bright fruit and creates a very rich full mouth feel. The wine is very clean with bright fruit forward finish that lingers for a long time. The Sauvignon Blanc was harvested on 09 September at 24.3 Brix, 3.46 pH and .655g/L TA. The Sauvignon Bklanc was fermented in stainless steel for 14 days with Exotics Yeast. The wine was aged in stainless steel tanks.